One could argue that the Software as a Service (SaaS) industry puts far too much emphasis on customer acquisition. According to Price Intelligently, a platform that helps SaaS businesses optimize their pricing pages, 7 out of 10 articles on SaaS monetization are about this subject — strategies for improving acquisition rates, tips for improving marketing efforts, warnings of what happens if businesses fail to find new subscribers and so on. While effective marketing is an important part of maintaining consistent revenue, it also requires a significant amount of time and money. There are other ways of improving the bottom line that use fewer resources and can lead to more consistent revenue in the long run. By effectively monetizing their subscription business models, SaaS companies can encourage faster growth than they otherwise would by focusing on marketing efforts alone. Part of this effort involves pricing the product at a sustainable rate, but the billing system itself shouldn't be forgotten. A comprehensive subscription billing solution is key to not only maintaining consistent revenue, but also combating passive churn, utilizing promotional offers and accommodating new payment methods. Above all, a SaaS billing solution must be flexible to accommodate the variances in consumer expectations. Customers want to pick the features that meet their needs. Customers not only want convenience these days — they also want customization. Individuals and businesses alike prefer the ability to pick and choose the features of a particular product that best meets their needs. To accommodate this desire, SaaS vendors package and price their products in a variety of ways — from bundles designed to attract users of different tiers (individual, small business and enterprise, for example) to letting consumers build their own customized bundles. Additionally, sales teams often use varying promotions and discounts to secure a transaction. Thus, a SaaS billing system needs to easily adjust to the varying prices such offers create. A sales team should have the option to provide a discount and see that change reflected in minutes. Similarly, the billing system needs to accommodate custom charges created by combining individual features. Such flexibility not only appeals to consumer demand but, in doing so, it also gives SaaS providers an advantage over their competitors. Of course, creating a flexible billing system in-house doesn't exactly use fewer resources than focusing on customer acquisition. In fact, it probably takes a lot more. That's why SaaS vendors should consider outsourcing this task to a reputable third-party provider experienced in the world of subscription billing and management. As the world of SaaS evolves so rapidly, it's hard for vendors to predict the offers they'll provide and consumer expectations they'll have to meet in the future. 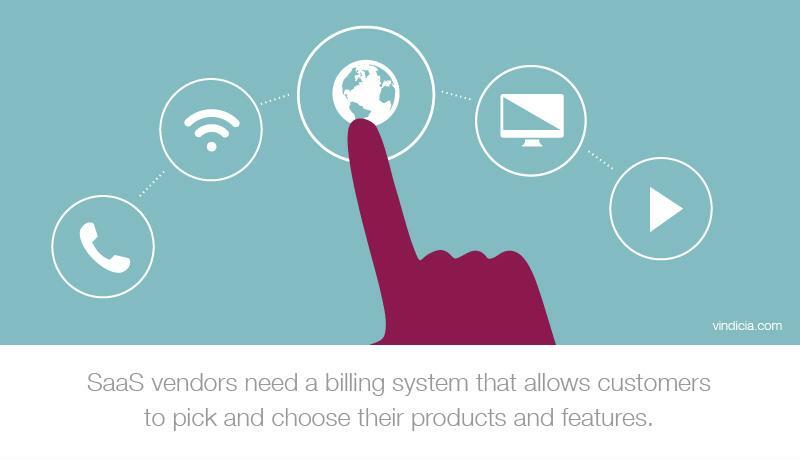 That's why they are best off partnering with a comprehensive third-party billing solution.